UNITED NATIONS (AP) — Lots of leaders saying lots of things about lots of topics — topics that matter to them, to their regions, to the world. That’s what the speechmaking at the U.N. General Assembly invariably produces each year. And each year, certain enormous topics and certain louder voices dominate. 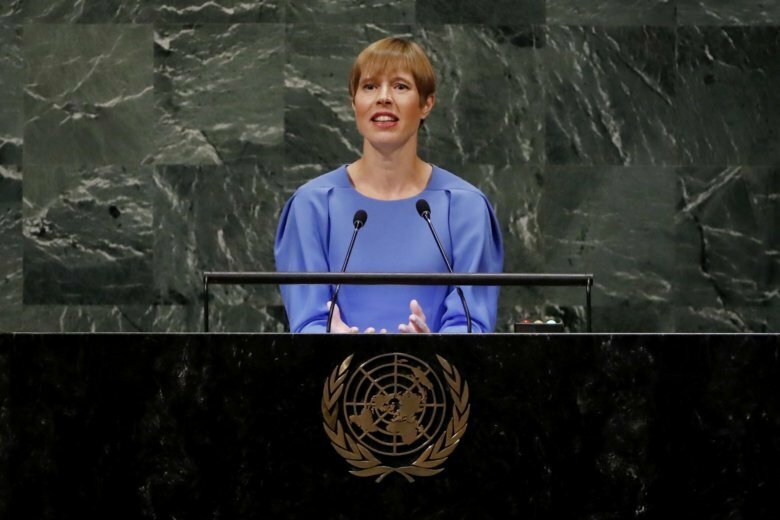 Here, The Associated Press takes the opposite approach and spotlights some thoughts you might not have heard — the voices of leaders speaking at the United Nations who might not have captured the headlines and the air time on Wednesday. — Kersti Kaljulaidm, the president of Estonia. — Liberian President George Manneh Weah, a former soccer star, who won his nation’s presidency by a large margin this past January in Liberia’s first independently run election since the end of its civil wars. The U.N. wrapped up a 15-year peacekeeping mission in Liberia at the end of March. — Andrej Kiska, president of Slovakia. — King Mswati III of Eswatini, a tiny African nation that was known as Swaziland until it renamed itself earlier this year. — Nana Akufo-Addo, president of Ghana. Associated Press writer Jennifer Peltz and Maria Sanminiatelli contributed to this report.